In India any Non-Profit organisation can get registered as trusts, societies, or a private limited company under Section-8 of the Companies Act. 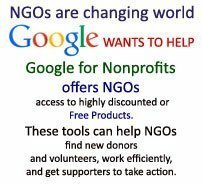 Non-profit organisations exist independent of interference by the state and have a self-governing board of trustees. Such organisations work for the benefit of others, generally public at large. They do not distribute monetary residual among their own members. 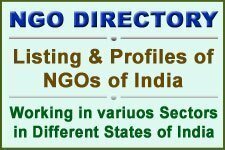 Registering Non Governmental Organisation (NGO)/Non Profit Organisation as Trust is the best and recommended process. Section 2(15) of the Income Tax Act (applicable uniformly throughout India) defines ‘charitable purpose’. This includes relief to the poor in form of education, medical aid or through any other object that is of public utility thereby promoting public welfare. Anything related exclusively to religious worship or teaching is not considered charitable. Thus, to determine a Trust as either public or private, it is essential to see the class that shall be benefited, whether they constitute a substantial part of the public. Organisations lacking the public element – like trusts working for the benefit of employees of a company, are not considered charitable. A Trust’s subject-matter must be property transferable to the beneficiary. It should not be merely beneficial interest under a subsisting trust. 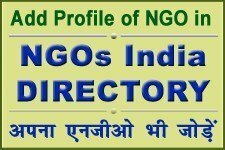 A Public Charitable Trust is known as non profit NGO. The Income Tax Act gives Trust, Society or Section-8 Company, equal treatment, in terms of granting 80G certificates and exempting their income (12A). Foreign contributions to any of these are governed by FCRA regulations and registration under this Act has to be obtained from the Home Ministry. After registration, you can acquire 12 A and 80 G certificates from the Income Tax Department. These certificates can be obtained by applying immediately after registration. If the trust is more than a year old you will have to attach a copy of your Trust’s Audit report, IT return and Income/ Expenditure statement. Generally, the Indian Trusts Act 1882 is applicable across India but different states have formulated their own Trust Acts governing the trusts in that particular state. Trusts, similar to a society, are eligible to receive funds as well as projects. However, one must not expect to receive funds or projects right after the next day of registration. In fact, to receive such from government there are certain parameters like experience, performance profile, age of the Trust and other such eligibility criteria taken into account before deciding to award any project or fund to the applicant.